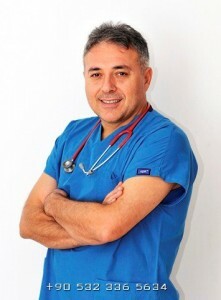 My name is Adnan Sari, I am a physician and director of the Polyclinic Konakli Medical Center , Konakli,Alanya, TURKEY. And want to briefly introduce my Clinic to you. The importance of tourism in our popular region of Alanya is growing every year and the potential health problems of tourists during the holiday need to be tackled very flexibly, efficiently, quickly and ultimately for the patient as comfortable as possible. Tourists do not spend unnecessary time waiting for the treatment or follow-up examinations – all services are trying to be shorten so that the patients are well treated and can thus in the shortest time be returned to their holiday. 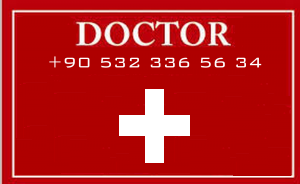 Most diagnoses occurring during the holiday require outpatient treatment and that is why our clinic is the most popular outpatient medical facility in this area (medical service is available from the eastern part of Alanya ,Mahmutlar,Kestel,Tosmur,Oba ,center alanya- to the Konakli,Avsallar,Turkler,Incekum,and western part of Okurcalar). Our brand newly refurbished (2011) Health Center offers confidential health care with all modern standards of the outpatient and inpatient treatment. Among the common tests include: ECG, EEG, X-ray, ultrasound, urinalysis, blood-analysis, etc., Click PHOTO GALERIE and see the pictures of our clinic . 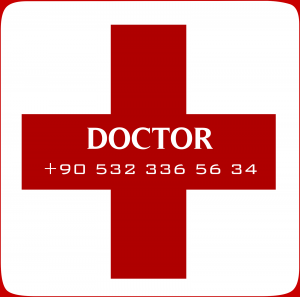 If the patients needs any specialist we can solw in clinic by our part time specialists .Or if the patinet needs aftercare, examination or hospitalization long ,then he is transported to the nearest hospital (according to the preferences of assistance services). 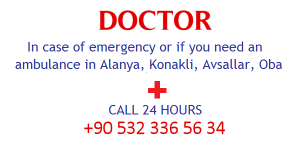 We provide 24 hours Outpatient and inpatient health care in alanya. The big advantage of our services lies in the reciprocal agreements with many European insurance companies and assistance services. For patients, it will in most cases bring the comfort of free treatment on presentation of a valid insurance. The staff here speaks English, German, Russian ,polish and Czech. Konakli Medical center is opened 24 hours a day and provides the best care which is covered by a great team of professionals. 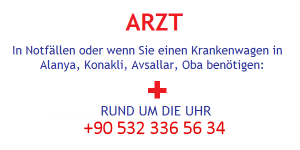 You are more than welcome to come or contact us any time and ask for a medical help in alanya. If you want to come to our clinic directly,you can see on main road our reclam pano opposite Turtas Hotel in Konakli Center as private KONAKLI POLICLINIC .Please click on CONTACT US and see the Map. The patient is picked up at the agreed time from his hotel/or home by the clinic car to our clinic. Transport of the patient to the clinic and back is a part of the cost of treatment.